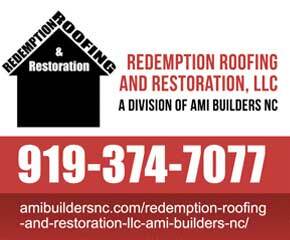 AMI Builders NC Located at 216 S Main Steet, Fuquay-Varina, NC 27526 Phone Number 919-812-7282 is your best choice for all your Home Improvement Needs, Fuquay Varina Roofing, Insulation, Windows, Contractors. Does your Fuquay-Varina Home need insulation? Does your home leak out your hard earned money through cracks and unsealed vents and windows ? We can provide you with a free roof quote. free insulation quote, free window replacement quote or home improvement quote. If you live in Fuquay-Varina, NC and looking for insulation solutions, AMI Builders NC Located at 216 S Main Steet, Fuquay-Varina, NC 27526 Phone Number 919-812-7282 is an expert in installing spray foam to protect and insulate your home or business. Clog up your Leaky Roof, Windows, Doors, Walls, even Floors. 1) Let AMI Builders NC Provide Expert installation by certified energy experts. No Catches. 2) Free Home Insulation Energy Savings Test in Fuquay Varina NC. 3) Free Home Insulation, Attic Insulation, Wall Insulation Energy Efficiency Test. Has a storm or bad weather damaged your house or property ? Does your home have visible storm damage ? How about the damage you can’t see ? Like the one the contractor made before you moved into your home by performing shoddy work or poor quality construction. Let us set you up with one our experienced home repair and home improvement experts and provide you with a Free Fuquay Varina Home Insulation Quotes and Estimates. Does Your house need a new roof, Insulation in the attic or walls, maybe some siding, gutters, or windows ? Let AMI Builders NC Help You With all Those Home Improvement needs. We a Fully Licensed and Insured and we work with all Major Insurance companies to help you with any and all insurance claims. As energy costs continue to rise, those owning a home are realizing that spray foam is their preferred choice of insulation due to its super efficiency and long-term effectiveness. Spray foam can offer your home improved indoor air quality, comfortable and consistent temperatures, and low monthly energy bills. Roofing Services and Installation Raleigh NC GAF SHINGLES, AMI Builders NC best solutions to meet your roof repair, new roof construction, siding, windows. NC Home Insulation, Best Roofing, Roof, Roofer, gutters, siding, licensed, insured, certified, roofs, roof shingles, home improvement, general contractors, Durham, Raleigh, Cary, Fayetteville, ABC Supply Roofing ABC Supply Siding Superior Distribution Roofing Atlas Roofing IKO Roofing Malarkey Roofing Lansing Siding Certainteed Roofing Owens Corning Roofing Owens Corning Insulation TAMKO Ply Gem Windows Moss Windows New Construction Windows Vinyl Siding Hardie Plank Siding Architectural Roofing Roof Warranty 50 Year Roof Warranty 20 Year Roof Warranty Lifetime Roof Warranty Real Estate Roofing Investment Property Roofing Apartment Roofing Commercial Roof Repairs Restaurant Roof Repairs Bank Roof Repairs Convenience Store Roof Repairs Gas Station Roof Repairs American Skylights Sun-Tek Skylights Velux Skylights Wasco Skylights Cedar Shake​​, AMI Builders NC.